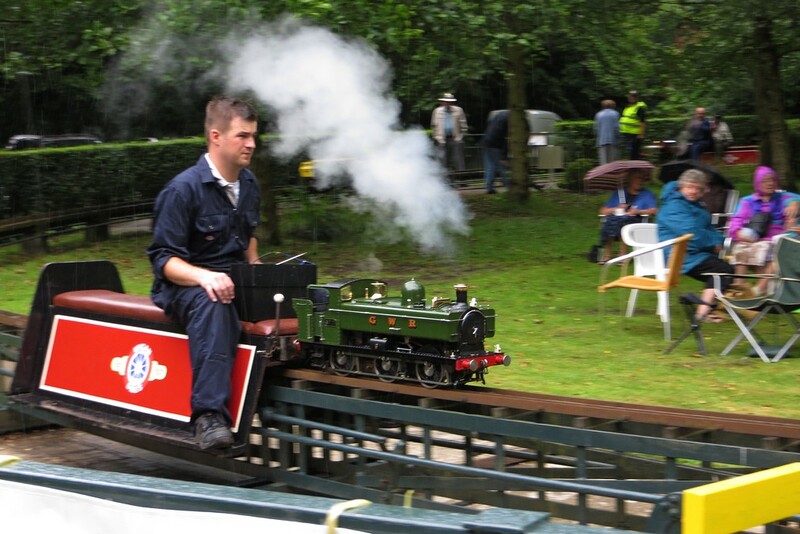 It's Wigan and District Model Engineering Society's Open Day at Haigh Hall Park - this Sunday, 28th July. Did you go jo anne? I went to Haigh Hall because there was supposed to be a medieval fair on but there was no sign of it - probably cancelled. So I went for a quick look at the trains. Does anyone remember the garden railway that Mr Waterhouse, a teacher at the Rectory School in Downall Green had in his garden in the 1940s. This was in Downall Green Road, opposite the junction with Soughers Lane, he used to invite the pupils to visit and ride on the train during the Summer months. Arrow, I'd hoped to go yesterday but migraine stopped play for me. Thanks for those fantastic photos. Open day July 30th come along free rides everyone welcome. We are expecting a number of engines from other clubs, steam and diesel.